These days, it’s easy to find talented professionals who offer software development services. If you’re considering outsourcing software development, the amount of available developers you will find will be the last of your worries. The most important thing — and perhaps the trickiest — is selecting the best fit for your business. Consider the large number of developers, one of the benefits of outsourcing. The likelihood of not finding the person for the job or running out of applicants is low, but it also means that you have to go through the huge directories until you find your ideal developer. Also, keep the wide range of skills in mind. Some may be looking for that first job while others have the exact experience to match your project. It’s important to review skills, experience, and references so you can make sure your project requirements and that person’s abilities line up. While it may seem that outsourcing is more work, it really isn’t the case. Like everything else, outsourcing has its own strengths and weaknesses. The important part is to know if it’s right for you. As mentioned above, outsourcing unlocks a bigger pool of talent and a higher chance of completing a job quickly vs. hiring a full-time employee, training them in, and getting them added to the project. Before you decide, let’s first have a look at the major pros and cons that come with outsourcing software development services. Availability is high. There are always candidates to choose from at anytime. Outsourcing the job to experts in the field will take less time to complete the product than trying to do it yourself. Costs are generally lower than hiring a full-time employee and training them. You can hire developers who can produce excellent output at lower rates. Skill level hugely varies from one professional to another; there are plenty of developers who don’t live up to the professional credentials they claim to have. Software development teams handle sensitive data. By giving access to anyone outside the company, there is the risk of losing confidentiality. In short, it will all depend on the person you hire. Quality, for example, can go both ways. Choosing a good professional will guarantee a well-built product, while a bad one will just be a waste of resources. You can opt to hire a trusted software development company to make things easier for you, but be prepared for higher (but worthwhile) expenses. Should you avoid outsourcing altogether? No. Outsourcing does have its disadvantages, but it still ultimately does more good for your business than other alternatives. The downsides to outsourcing mentioned above can be avoided by hiring correctly and communicating properly, and having checks in place. If you think about it, it really depends on the employee you will be hiring. The kind of professional they are will determine whether they get the job done smoothly, or are a source of problems. For these reasons, your focus should be on refining your hiring process to make finding your ideal developer easier. Companies run into outsourcing problems when they don’t clearly communicate what they need. After all, you might be outsourcing to other continents. Of course, whether you’re working with programmers in different countries or not, your job specifications need to be detailed. Whether you’re writing a job post for a freelance website or job board, the rules are the same regarding clarity. You should communicate your needs in the clearest and most concise way when adding job descriptions. 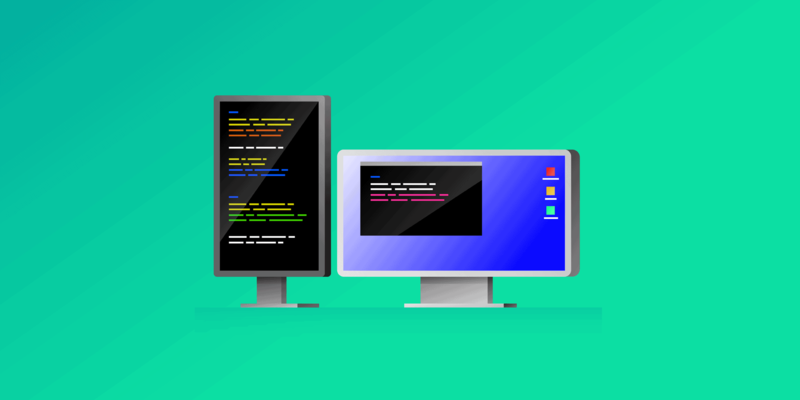 By following these guidelines, you will already be reducing the chances of receiving applications from developers unfit for the job, and preventing roadblocks during the execution phase itself. How do you find good software developers? There are over 50 million freelancers in the U.S. alone. When you include the rest of the world, your options are practically endless, as long as you know where to start looking. And what better place to start than websites whose actual purpose is connecting freelancers to employers? Hubstaff Talent has a huge database of freelancer profiles with skills in different industries. To use it, you simply have to sign up and post jobs or search for ideal developers. 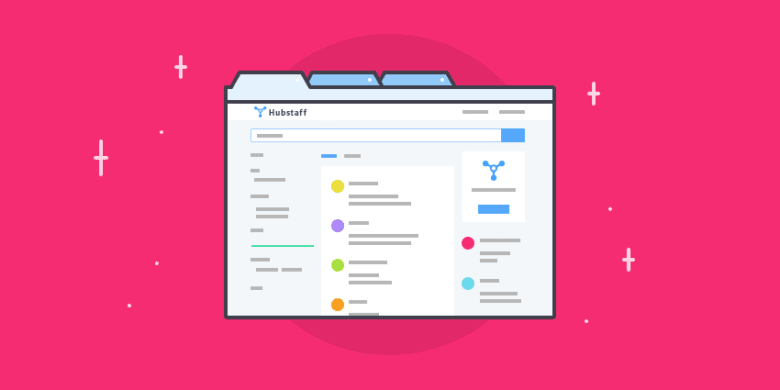 Unlike most freelancer platforms, Hubstaff Talent is completely free. You only have to pay what your freelancer has earned and nothing else on top of it — a rarity for freelance talent platforms. Freelancer.com can help with your freelancing search, including software developers. With millions of registered users, Freelancer is one of the most widely used freelancing platforms. Freelancer’s basic fee is 3% or $3.00 (whichever is greater). PeoplePerHour connects you with freelancers from around the world. It has users that offer hourly rates and fixed rates, and you can view reviews from people who have worked with them. Posting jobs on PeoplePerHour is free, but there are fees after signing with a freelancer and when projects are completed. There are other freelance websites where you can conduct your search, aside from the ones mentioned above. Once you have identified the best place to look, it becomes a matter of either searching or waiting for applications to come to you. The process of outsourcing effectively doesn’t end here, however. You will still be dealing with the hundreds or thousands of applications, and only a small portion of them are actually good enough for the job. You need to eliminate the applications that don’t fit so you can get to the best. The key to getting rid of applicants who aren’t fit for the position is being very specific about knowledge requirements on your job post. Asking applicants to answer a few simple questions about their experience is a good start, and goes a long way. Here’s a little secret that will help you find out who is serious about getting the job. In your job post, ask them to reply to a specific request. You could, for example, tell them to include their top project and a link in the application response. This gives you a glimpse into their work, and ensures that they read the application. This way, you will be able to spot contractors who mass-apply for jobs if they leave this detail out. Another way to ensure accuracy is to have specific requirements. If someone doesn’t have experience with that type of project or client but you’re requiring it, you can quickly see if they read the application or not. After crossing out unsuitable candidates, you will likely end up with a handful of qualified applicants. If some of the applicants have a portfolio, ask to take a look at it. The best applicants are those that have worked on software similar to the one that you’re planning to develop. If you stumble upon such applicants, the hiring process will become so much easier for you. How do you find the right one from there? You should prepare to conduct at least two interviews. The first should be with their direct manager, where you can clarify skills and experience along with their timelines and working process. It’s a good idea to go further and call their references. Ask their previous employers a few questions regarding the contractor’s working habits and results. You’ll gain lots of insight from those calls. Those calls will greatly influence your final decision regarding whom to hire. Try some of these developer interview questions and techniques. On the second interview, test the programming skills of your applicants. Offer to give them an actual test project where you can see their work in action and they can show off their skills. It’s important to pay the developer for this first task (at their hourly rate), as you should now be down to only the best candidates. Lastly, observe how the applicants communicate with you. If you notice that they’re pleased to have answered your questions, that’s a good sign. If they are trying to hide something or if they are not being clear while answering questions, it might be better to take a pass on them instead. There should then only be a couple of candidates to choose from, all of whom are competent enough to do the job. The next and final step is identifying who fits the position best, taking into consideration attention to detail, availability, and work styles. What happens once you’ve hired a developer? After the entire process of singling out the best for the job, you will be discussing the project specifics, your expectations and deadlines, and negotiating rates. All these shouldn’t be difficult since the developers you have chosen managed to pass everything from the first interview to the sample project. Your new team of developers can start working on the job from there. It’s recommended that you use an app to track the developer’s progress as well as the time they have consumed working on the project. An excellent tool for this is Hubstaff. Hubstaff is an online timesheet tool with automated payments that lets you easily see how long your team has been working. It also has activity monitoring, app and URL tracking, and screenshot capturing features so you know how far along in the project your team is without having to constantly check in. Once your developer has tracked their time to the right project, you can automatically send payments on a weekly or monthly basis. It’s one less thing to manage. Do you have your own strategy for outsourcing software development? Outsourcing is a complicated process enough on its own, let alone selecting a software developer with the perfect skills and experience for the job. This is why you should be extra careful when hiring; it’s better to narrow down your list of prospects as much as you can before you start interviewing. The tips mentioned above can do just that. What about you? Are there any particular characteristics you prioritize when hiring? Are there specific websites you trust to provide you with great developers and freelancers? We’d like to know in the comments. This post was originally published August 11, 2014, and updated March 2019.